We organize a fun outing for the golfers from the community every year. 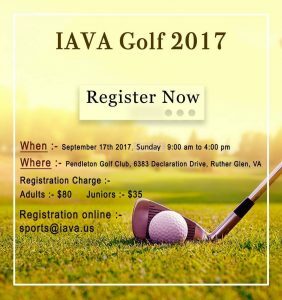 Around 50 players from Richmond and surrounding areas such as DC, Northern Virginia, Maryland and North Carolina participate in this event. The main objective is to spread the game among the community members and enhance camaraderie between the players.